opens at Ware Museum (SG12 9AL) on 6th May for 9 weeks. 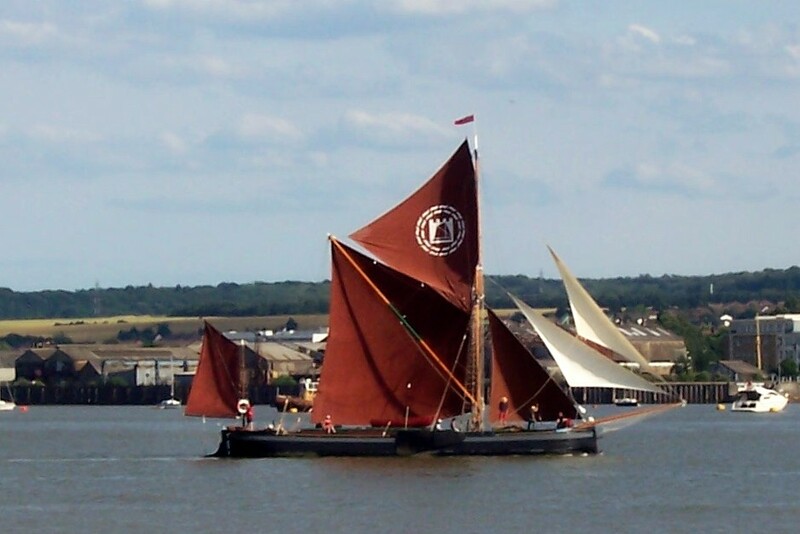 I have pulled this together with the help of SSBR colleagues and others, in my spare time, when not organising this year’s Mark Boyle Memorial Thames Sailing Barge Match on 13th July, finishing at Erith for the first time in 117 years! The exhibition conveys a brief history of the genre; details spritsail barges built in Ware; looks illustratively at ownership, crews, destinations and cargoes; the Henry Dodd Barge Match history; the anatomy of a barge; a 1:24 scale model of SB Kathleen with her history time-line in words and pictures; barge construction and sail making with the tools of both these skills on display; and the model of SB Lady of the Lea from the London Canal Museum. Ware Museum is an independent museum run by volunteers and supported by Ware Town Council, East Herts District Council and the Ware Society. Entry is free but a donation of £2.00 is suggested. Ware Museum, The Priory Lodge, 89 High Street, Ware, Hertfordshire, SG12 9AL. Opening times:- Tuesday, Wednesday, Thursday, Saturday from 11.00am to 4.00pm. Sunday and Bank Holiday Mondays from 2.00pm to 4.00pm. Hardened barge enthusiasts may like to see these few images taken from a trip down the Lee Navigation back in April. 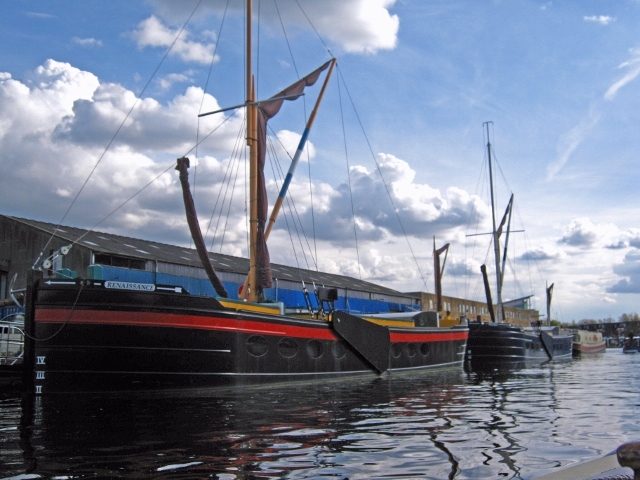 I found the sight of these two repro barges that are moored at Hale Wharf on the River Lee navigation, just above Tottenham Lock at Ferry Lane, quite bizarre. From up-river I had thought “what a coincidence, two barges from the East Coast have ventured up the Lee”. I had never imagined being so far inland that I would be giving it some of the old “whe’re yer for”, as I like to do whenever the occasion presents itself when sailing down the Blackwater. 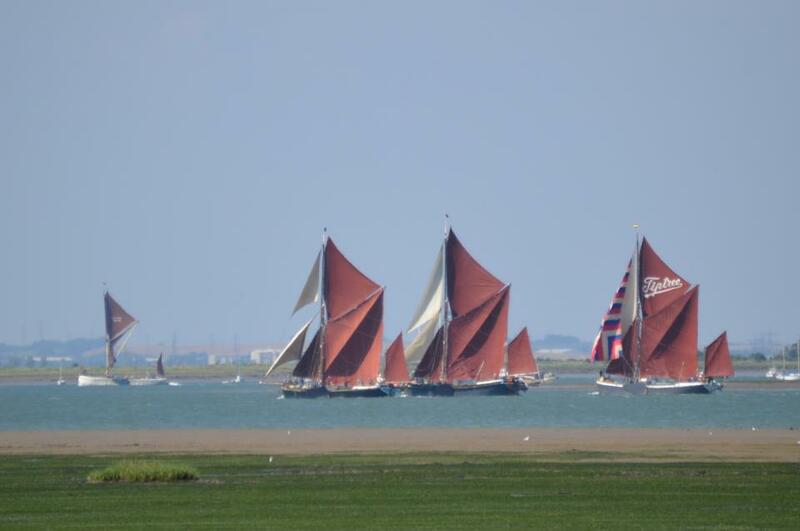 I could just make out the familiar top and mizzen masts with a sprinkling of brailed brown sail. Even so the picture before me just didn’t look right. I’m so used to seeing the real thing that in the few moments it took to get closer I had gathered my thoughts and realized all was not what it seemed. After asking a few questions I found out that they were Renaissance and Judith, part of the London Borough of Haringey’s regeneration of the waterside here. 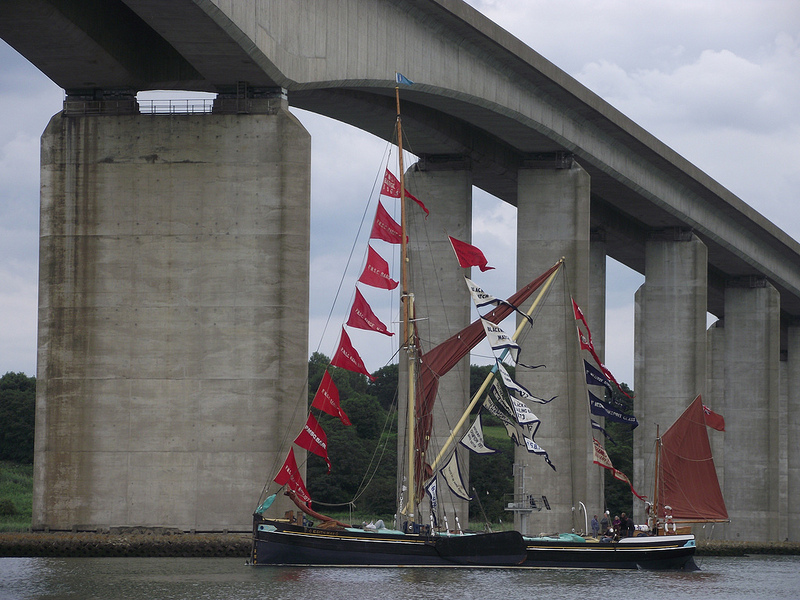 The two barges certainly add colour and interest to the wharf. 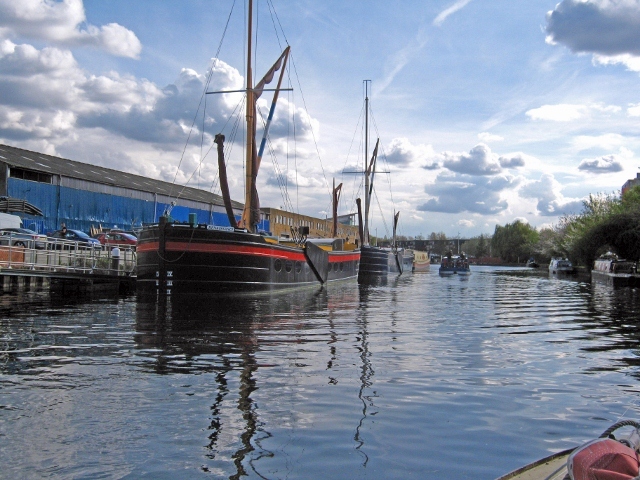 Both barges are 25 metres long and were built by Manor Marine in Dorset. 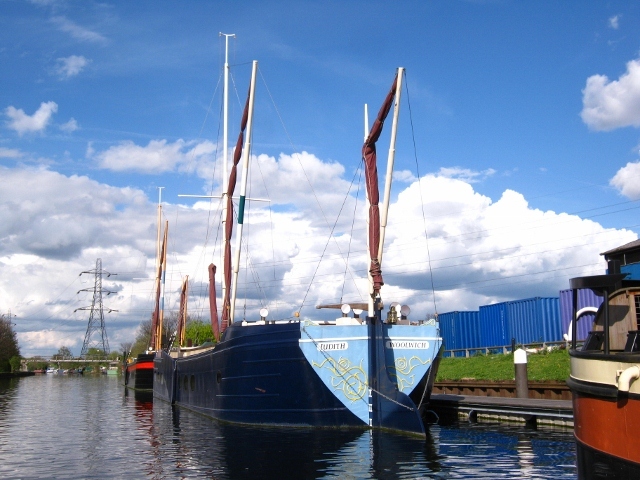 They were modelled on the local powder barges, (the Lady of the Lea was one of them), that once shifted munitions from Waltham Abbey to Woolwich Arsenal, and they give the look of an historic working boat but with the interior in keeping with modern needs to offer local businesses a rather unique office space. 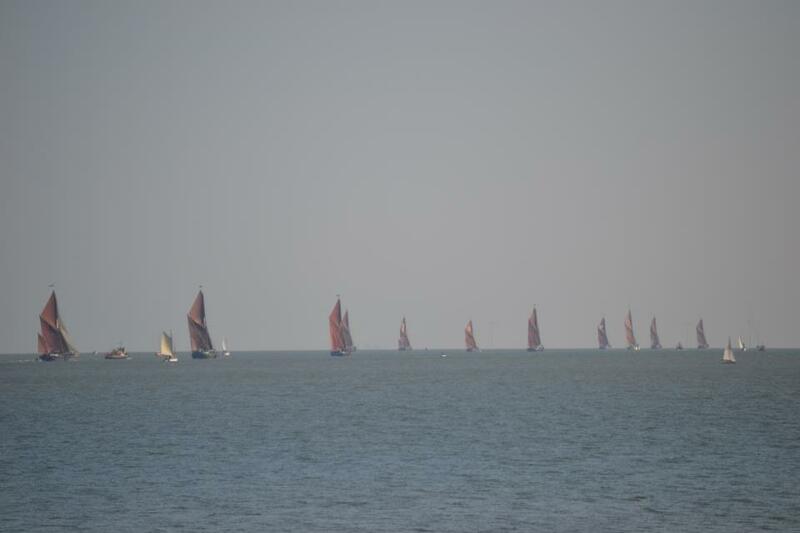 The summer barge matches are under way and Ed Gransden tells me a bit about the Passage Match, as viewed from Edith May. Edith May was officially first over the start line as Lady of the Lea and Ardwina went over seconds before the gun. 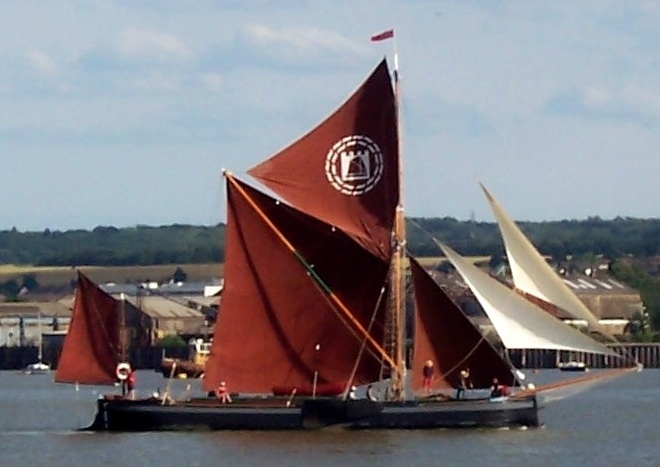 Edith May took the lead down the Thames and held it, going well throughout the day to be first barge into Harwich Harbour. Even though she had to do a dog leg as she passed a buoy the wrong side, she still managed to win by a comfortable margin. 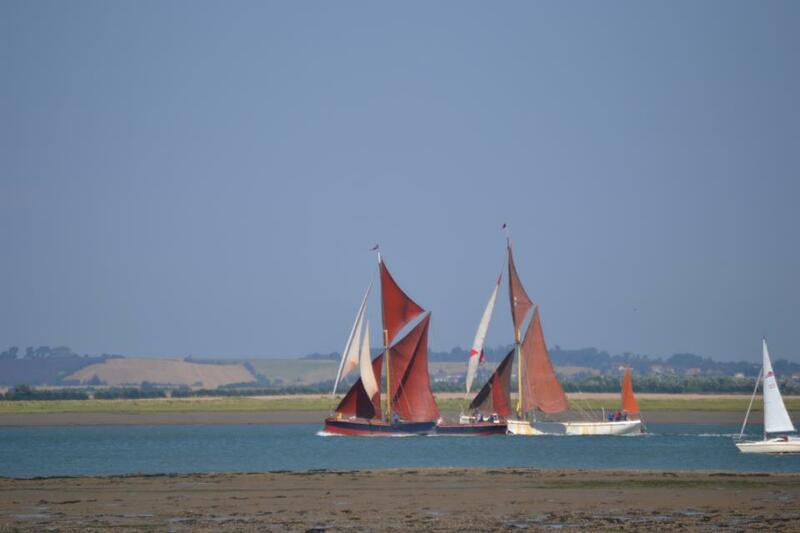 Repertor and Ardwina followed with Lady of the Lea bringing up the rear. My picture depicts the barges trying to gauge the start. Ed Gransden has kindly pointed out that your Editor is totally confused about the days, (put it down to the bank holiday last week which made everything different), and that the “Our Food” programme is actually on Wednesday at 8.00pm on BBC2. I’ve checked the schedules myself now, and confirm that it will be Wednesday that we will see Lady of the Lea and Edith May. Apparently it will be Giles Coren presenting from on board Lady of the Lea on the Medway. So NOT Tuesday, but Wednesday. Edith May Trading Company has let us know that she will be starring in a television programme next week, together with Lady of the Lea. The programme is on BBC2 on Tuesday 17 April, at 8.00pm, and is called “Our Food”. It’s a series, and this particular edition features Kent, and will tell how Thames sailing b arges used to take fruit to London. It was filmed aboard Lady of the Lea, with what is described as “a special guest appearance from Edith May”. Can’t wait to see them both.